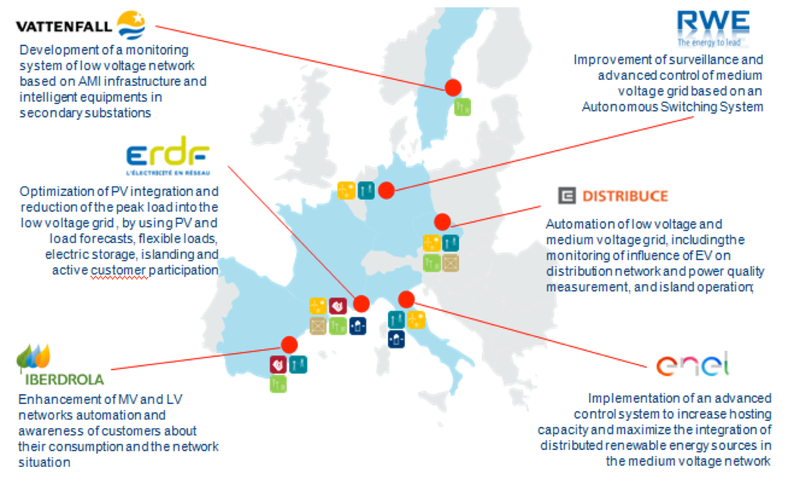 Designed in response to a call for projects from the European Commission, GRID4EU is a Large-Scale Demonstration of Advanced Smart Grid Solutions with wide Replication and Scalability Potential for EUROPE. The project was led by six electricity Distribution System Operators (DSOs) from Germany, Sweden, Spain, Italy, Czech Republic and France, in close partnership with a set of major electricity retailers, manufacturers and research organizations. As a whole, the consortium gathers 27 partners. The research centre PERSEE MINES ParisTech was one of them. GRID4EU consisted of six Demonstrators, which were tested over a period of 51 months in six different European countries. 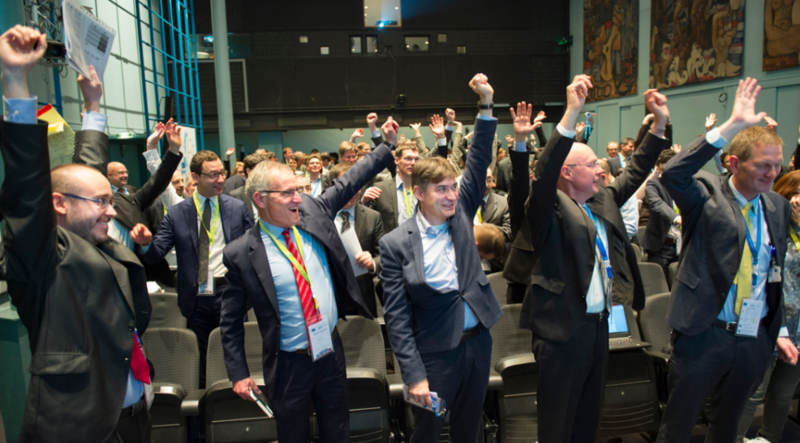 The project strived at fostering complementarities between these Demonstrators, promoting transversal research and sharing results between the different partners as well as with the wider Smart Grids community. ARMINES participated in GRID4EU through the research Center PERSEE, joint Centre with MINES ParisTech. 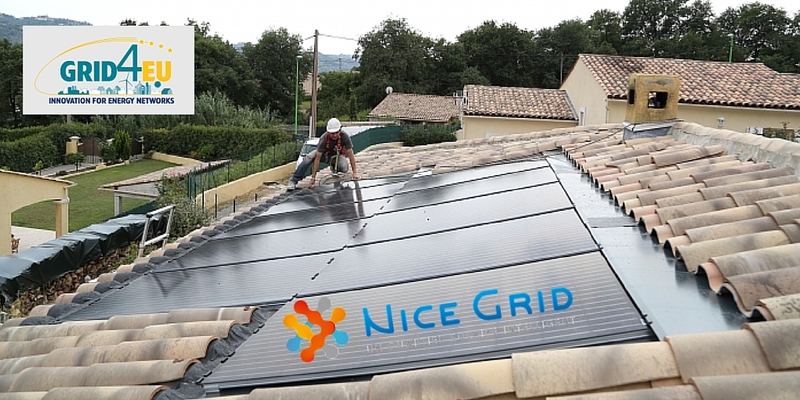 PERSEE was principally involved in the French Demonstrator “NICE GRID” as well as to transversal activities of GRID4EU. It developed advanced probabilistic methods for day-ahead forecasting of photovoltaic generation based on smart-meters data and numerical weather forecasts. An operational forecasting platform was developed integrating the advanced models. It was installed for on-line operation at ERDF (ENEDIS today) and provided forecasts for the power output of all PV installations in the demonstrator (on roofs and grid connected). Moreover, PERSEE developed a software tool for the predictive management and on-line operation of the grid-connected batteries installed in the French demonstrator (30 kW – 1 MW). This software, called “Network Battery Aggregator – NBA” is designed for actors such as aggregators that operate storage devices. It aims to provide flexibilities to the Network Energy Manager (NEM) developed by GE. It was integrated in the NEM and in the operational environment of ERDF. The increasing use of active demand including the potential future developments of new usages and evolving customers’ behaviours. 1 Rue Claude Daunesse, CS 10207, 06904 Sophia Antipolis Cedex, France.